Anniversary of an Attempt to Overthrow France’s Charles De Gaulle. Did CIA Help? 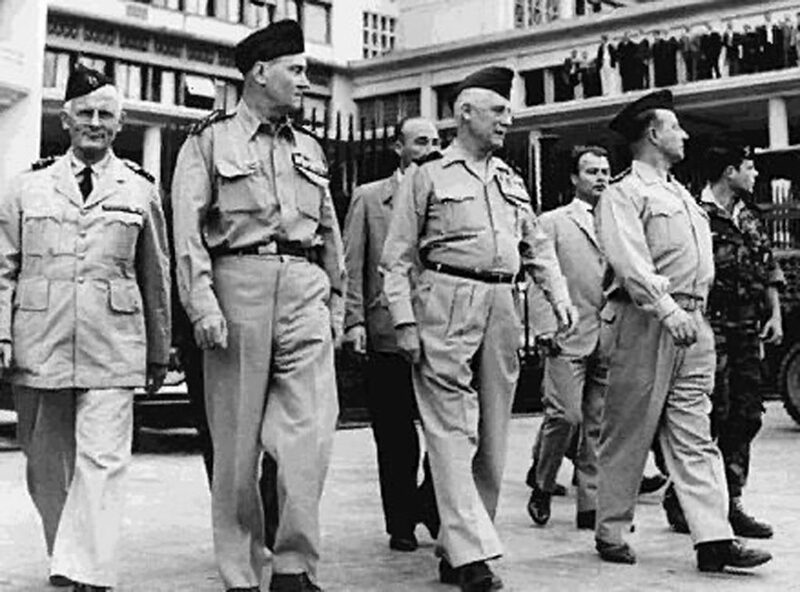 Four French Generals who tried to overthrow President Charles de Gaulle: Left to right: André Zeller, Edmond Jouhaud, Raoul Salan and Maurice Challe. In the post-World War II era, one week stands out as truly extraordinary. Just a couple of days after the failed US-backed Bay of Pigs invasion of Cuba, on April 21, 1961, a group of French generals launched a coup-d’etat, with the aim of taking down President Charles de Gaulle. This week marks the 55th anniversary of this profound event, little-remembered today. The conspirators managed to control Algiers, the capital of French Algeria, but failed to achieve their secondary objective of taking Paris. Lacking popular support and having lost momentum, the coup was put down within days. Evidence suggests that Allen Dulles, the US Director of the CIA, and his numerous contacts deep within the French government, helped orchestrate the plot. Many French — along with Dulles — feared an independent Algeria would fall into the hands of Communists, giving the Soviets a base in Africa. And here are links to a series of excerpts on this astonishing episode, previously published by WhoWhatWhy, from David Talbot’s masterful book, The Devil’s Chessboard: Allen Dulles, the CIA, and the Rise of the American Secret Government. Talbot’s lively writing and eye for the telling detail bring this story to life. Part 1 of this 3-part series is about the many reasons why the CIA and the French right wing wanted to bring down Charles de Gaulle. It is also about the deep connections between the CIA and France’s own intelligence agencies and government, and why de Gaulle wanted to purge his country of these insidious ties. In Part 2 of this 3-part series, John F. Kennedy learns of Allen Dulles’s involvement in plotting to overthrow de Gaulle, and assures the French of his support for de Gaulle, while warning them, “the CIA is such a vast and poorly controlled machine that the most unlikely maneuvers might be true.” But not even the CIA, with all its right-wing allies, was a match for the millions of French who stood up for de Gaulle. In Part 3 of our 3-part series, de Gaulle purges his government of presumed traitors and shuts down the “unhinged” murderous forces that were gunning down, blowing up, and poisoning “enemies of the French empire” — those who were for Algeria’s independence. But de Gaulle still remains a target for assassination attempts, one of which is spectacular.